Nestled Within the Foothills of the Scenic Baraboo Bluffs in Wisconsin’s Devil's Lake Glacial Basin. Von Klaus Winery is the home of 20 handcrafted wines, made with modern technology and old world tradition. We have been making wines using original recipes with all natural ingredients and no preservatives or added sulfites since 1999. 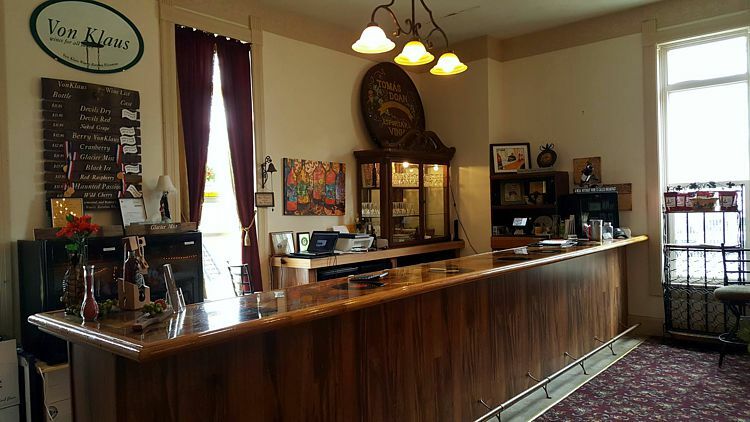 Located in Baraboo’s historic downtown square, our tasting room offers guests a year-round invitation to sample wines, try some delicious appetizers, or make a reservation for a 4-course wine and food pairing, complete with a lovely view of Baraboo’s historic downtown square. 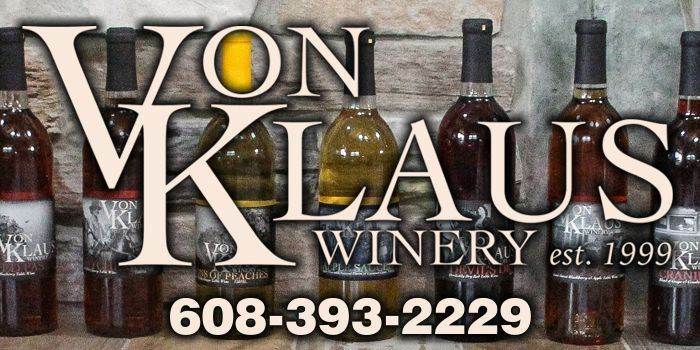 Come and join the Von Klaus family for a sampling of the best fruit wine Wisconsin has to offer. 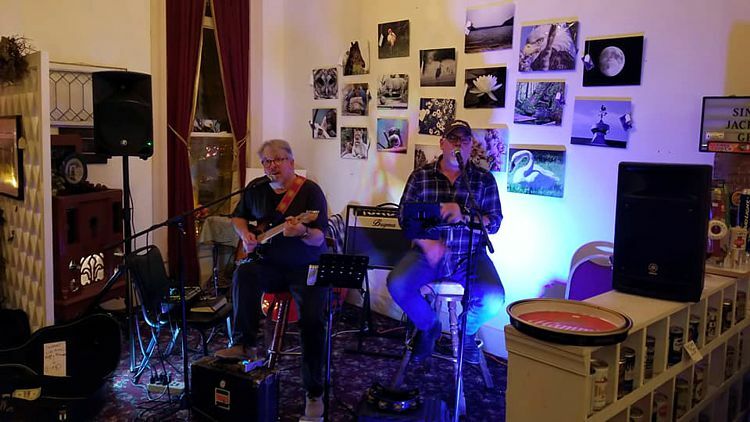 Join us at our Baraboo Wine Bar and wine tasting room, where you can enjoy complimentary tastes of all 20 Von Klaus original wines, or make a reservation for your own private 4-course food and wine pairing! Von Klaus Winery can also provide bulk wine delivery to area events. We’ll setup a Private Wine Tasting where you can taste our wines and find out the best wine to order for your special event. Looking to throw your own wine party? Everybody loves learning about different types of wine and how they taste. While we can easily help you plan a wine party. 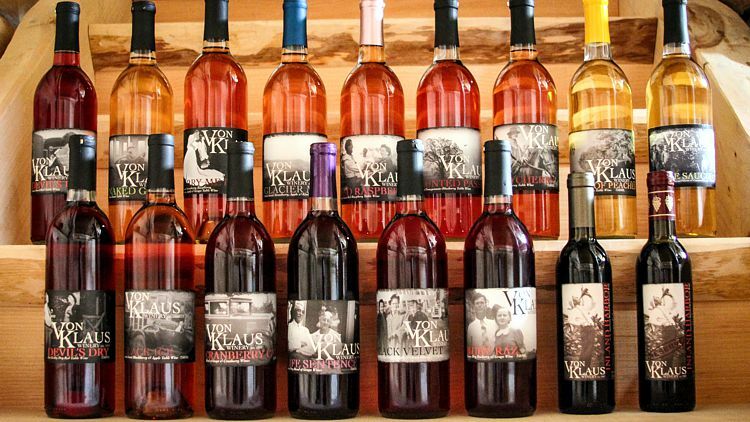 No matter what occasion you need wine for – wedding, corporate party, anniversary or a wine tasting event at home or elsewhere – Von Klaus Winery produces 20 delicious types of delicious Wisconsin wine, including white and red wine, fruit wine, or any of our other specially blended flavors. Page Summary: Von Klaus Winery offers the best wine, WI Wines, wineries, and organic wine. Products such as red wine, wine tasting as well as other wines are also part of the scope of our business. We also specialize in the best wine in Baraboo, Wisconsin Dells, Sauk City as well as Prairie Du Sac. Other areas we serve include Lake Delton, Reedsburg, Sauk County and WI. We also service Devils Lake, Madison and beyond.